Hi Birgit. We've read your brilliant books on Kimberley and the Top End but we need some help with a dilemma. We are planning a trip to Australia from the UK next year and plan to explore either the Kimberley or the Top End from 17 May for 10 days. We are torn between taking a 4WD camper to tour either the Kimberley or the Kakadu National Park. Both look amazing but we can't do both as we are on a budget. We are both in our 60's but very fit and up for adventure. If you have around 3-4 days tops, then Kakadu would probably be the pick. If at least more than a week then the Kimberley becomes a better proposition but don’t try to do it all, pick a part of the Kimberley and explore that well. Don’t get me wrong, I’ve been to both and love both areas, but if you have enough take your time and explore the Kimberley. Hi. In my opinion, I think you will find the Kimberly has a lot more to offer than Kakadu. (Or as it is also known...kakadon’t). Don’t get me wrong, it is great to go see, but Litchfield was better. As you have 10 days, I’d spend it and see the Kimberleys. You get the same type of adventure, but it is over the whole trip. My family felt that Kakadu was overrated and half of the trip had nothing to offer. Whatever you decide, it will no doubt be a wonderful holiday. We have spent a lot of time in the Kimberley and recently spent several days exploring Kakadu. Whilst we enjoyed our visit, we were a little unimpressed. We missed the colours and sheer beauty of the Kimberley. The country is truly spectacular and much of it very accessible. Kakadu was more about wetlands (swamps), aboriginal art sites (which the Kimberley has lots of also), big visitor centres, and a couple of accessible waterfalls (Maguk and Gunlom). Apparently, there are lots of Aboriginal tours and experiences, but we were unable to find anything suitable for one reason or another. So, for us, we will return to the Kimberley again and again. 10 days is your problem really. There will have to be comprise. Having seen both we found the Kimberly more enjoyable but much bigger. Given the time you have available you are probably best to focus on either East or West Kimberly. Kakadu to us was just too busy and touristy. Kimberly gets busy but still keeps that remote feeling. Bottom line, if I only had 10 days I'd focus on either Broome in the west or Kununurra/El Questro in the east. 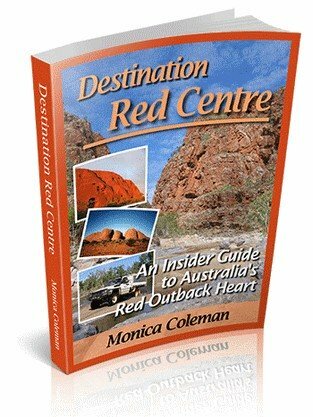 You'll get the unique Ozzie outback experience at some very special places. Do your research plan and book well ahead, particularly if you want fixed accommodation, flight tours (a must), or powered sites. 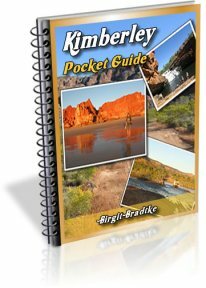 I would go for the Kimberley any time, but 10 days could be tight to do the Gibb River Road which we did 2 years ago (when one of us was turned 70). Don't miss the helicopter trip at the Bungle Bungles, or the little crocodiles at Windjammer Gorge. 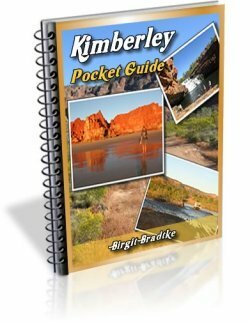 There is so much more to see and do in the Kimberly. We are from the UK, now in our 80's, and visited Kakadu in February 2007 and the Kimberley in September/October 2010. In our opinion there is no comparison, the Kimberley wins hands down, we have not stopped talking about our visit since!! The first trip we hired a car in Darwin, fine for two weeks in Kakadu but we vowed to get a 4WD for our next trip. 2010 we bought a pre-owned Holden Nullabor and spent 5 months exploring Australia & Tasmania, using Youth Hostels!! On the Gibb we stayed at the stations and hired a satellite phone just in case, we only saw 20 vehicles from one end to the other! I guess you don't fly all the way from the UK to Australia for 10 days. So whatever else is on your agenda, skip it and visit the Kimberleys or skip the Kimberleys and visit other places more relaxed. You need more time! Flying in and out to Kununurra or Broome takes a day as well. Almost no international flights go there. 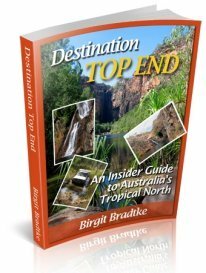 If you fly to Darwin then it is better to do Kakadu and/or Litchfield. On top of this you have to pick up and return a hired car, you have to get used to your camping gear, every day it gets dark at 6 pm, you have to drive in difficult road conditions, you want do do hikes and enjoy the places you visit. You are 70? Take your time.